At BPC Law, the Newmarket personal injury lawyers are your local experts who have been serving the community and providing much needed help to injury victims and their families. If you sustained a personal injury, it is very important to speak to a personal injury lawyer as early as possible to protect your rights. Our Newmarket personal injury lawyers regularly help victims of motor vehicle accidents, public transportation accidents, motorcycle accidents, pedestrian accidents, slip and fall accidents, product liability, and dog bites. The legal team at BPC Law is widely regarded as the leading experts when it comes to cases that stem from brain injuries, spinal cord injuries, orthopaedic injuries, and injuries resulting in chronic pain and psychological trauma. When it comes to fees, BPC Law works on a contingency basis, meaning you don’t to pay until we win. We provide the option of a home or hospital visit to ensure that your rights are protected right away and as courtesy to those clients whose mobility limitations prevent them from seeing us at our office. If you or a family member was injured, contact us for a free, no obligation assessment. 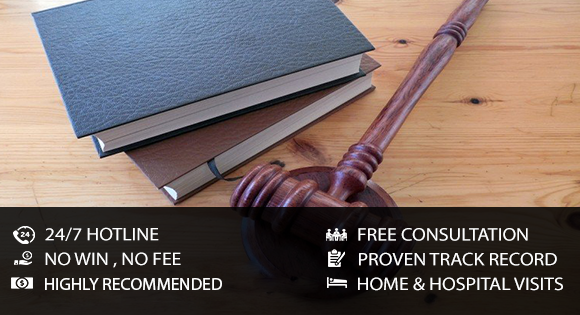 We will ensure that justice is served and provide you with the peace of mind you deserve. We know how difficult it can be for the victim and his/her family after an accident occurs, but we know that most of the personal injury cases need immediate legal representation. Under Ontario Tort laws, there is a strict deadline for filing the compensation claim, which makes it extremely important to contact BPC Law, your local injury lawyers in Newmarket. At BPC Law, we understand the complexities of the legal system and personal injury law. We ensure that you are informed about your rights, in the event you are contemplating filing a claim for compensation to cover the medical costs and long term rehabilitation costs, apart from the psychological trauma that is endured. Regardless of whether you have been injured in a car accident, slip and fall accident or it was medical negligence, the fact is that you are a victim who deserves to be compensated. Call in today. Ask our expert personal injury lawyers in Newmarket for assistance. We have been serving the community for years and offer complete assistance to the injured and their loved ones. At BPC Law, we are known to take on challenging legal cases to deliver a series of successful results. Our legal team has extensive experience in coordinating the different aspects of the case, considering all of the details, evidences and proofs that ensure that your claim for compensation is strengthened. We are ready to represent you at all levels of the Ontario court and if there is a requirement for negotiations for an out of court settlement, we’ll help you win maximum amount. Most insurance companies delay and deny benefits that you deserve. They use tactics with the help of adjusters to ensure that the compensation is lower than what the victim has claimed. Thus, if you have been offered a low compensation or have been denied benefits, we’ll be glad to be of assistance.